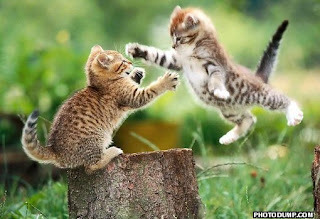 Hi my friends! It feels like too much time goes by in between posts anymore! I wanted to take the time and put something up for my readers, and also welcome all of my new followers!! This is awesome to have equally talented, and gifted crafters follow me- and the creations I share. It seems all I do lately is work, and when I am not working I have to eat, do laundry, pay bills, you name it. I really haven't had the opportunities to really get into any card making lately, and it makes me sad. This weekend - I am making it a point to do what I love if it is the last thing I do!! Tonight - my card is one I made a few weeks ago as a special request. In fact, I need to make her other requested card, and get it off to her!! I have a couple I need to make this weekend - and fulfill my promises! So- here is tonight's card share. It is meant to be a masculine card. I don't get to make those too often. Wood grain is perfect to inspire to create something for the certain man in your life. If my hubby liked it, then I knew it was a winner. My husband is very supportive in my hobby, and I couldn't be more blessed!! I know this is short and sweet - but I just wanted to post something new for you. I hope to post more on a regular basis soon. Again - thank you to all my current and new followers - I appreciate your support and visiting my blog!! Hi all!- I'm feeling a bit better, and wanted to share a card with you since I haven't in a week or so. This time I have a "Happy Anniversary" card I made in the beginning of this month (March) for my Stampin' Up Demo, Margaret. A few of us ladies went to Pleasant Hope, MO for a scrappin' and craft event the day of her wedding anniversary, and I knew since her day was spent with us, instead of her hubby, I wanted to make her a card. 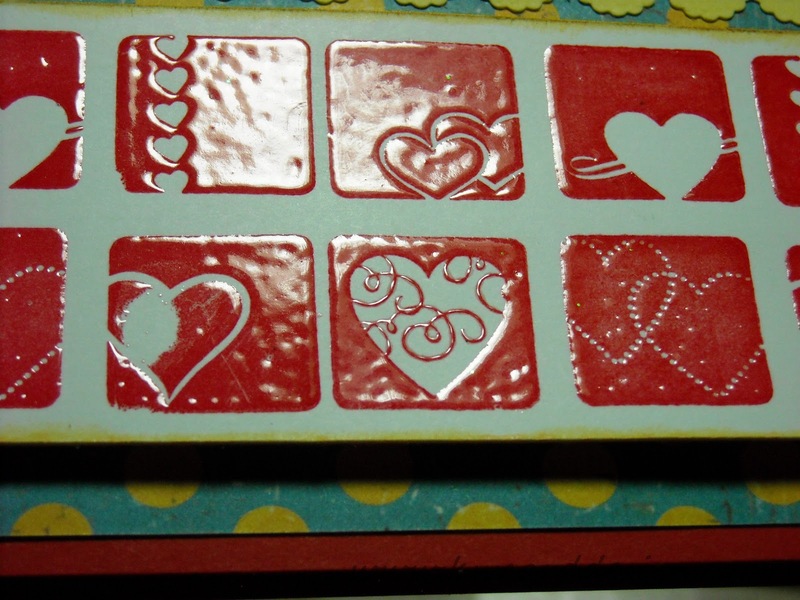 These individual heart images are embossed - Here is a closer look. 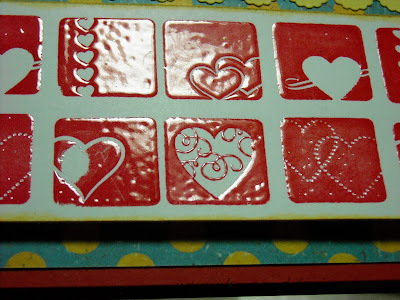 I used one of the Fancy Tags Nestibilities Dies, and patterned paper from the Restoration 6 X 6 pad by Crate Paper. Margaret loved it. I hope to continue on the road to feeling better. I think I will. 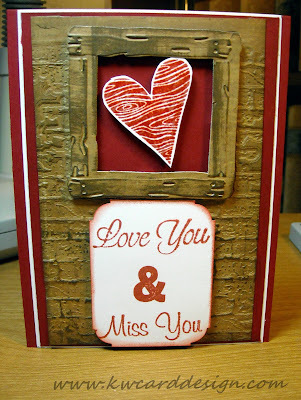 This weekend I plan to continue to rest up, and most certainly, I am going to make some cards, and be crafty. I am overdue!! Hi everyone - I will make this short, but I wanted to let everyone know that I am still here. Lately I haven't been posting very much, and for those that follow me, my apologizes. I've been under the weather since Sat., and haven't had the time, nor the energy to make a card, much less post anything. I haven't made a card in over a week, and I miss it, but I've been trying to get over this spring cold that I have right now. I plan and hope to get something going and posted for you this weekend. Believe me, I miss it all. What I do at my job during the day is very demanding, and making cards, and just being around my craft supplies gives me a certain calm that I crave, so I want to get back in creating cards for those that mean so much to me, and those that appreciate the time and effort that goes in to it all. **I'm still here** alive and kickin' I promise. Good Sat. everyone! It is a nice day outside, and I am inside being crafty. It is all good. I will get out and enjoy the weather some today. 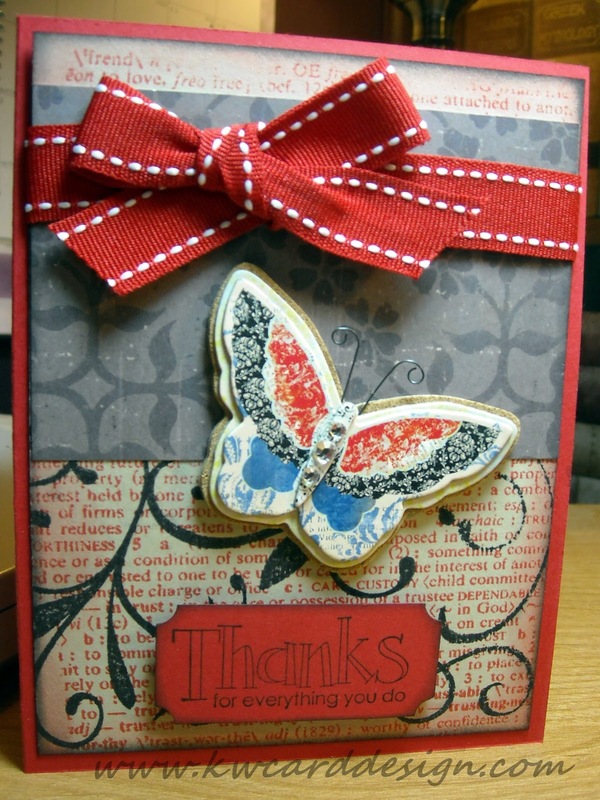 Last night I went to another Stampin' Up workshop, and as always I look forward to what I will be learning, and discovering. It was a special night as one of our craft friends was saying goodbye. She is moving to California to be near her children, and in retrospect for them to be near her, so they can help take care of her. She has been ill lately, and needs to be around family. 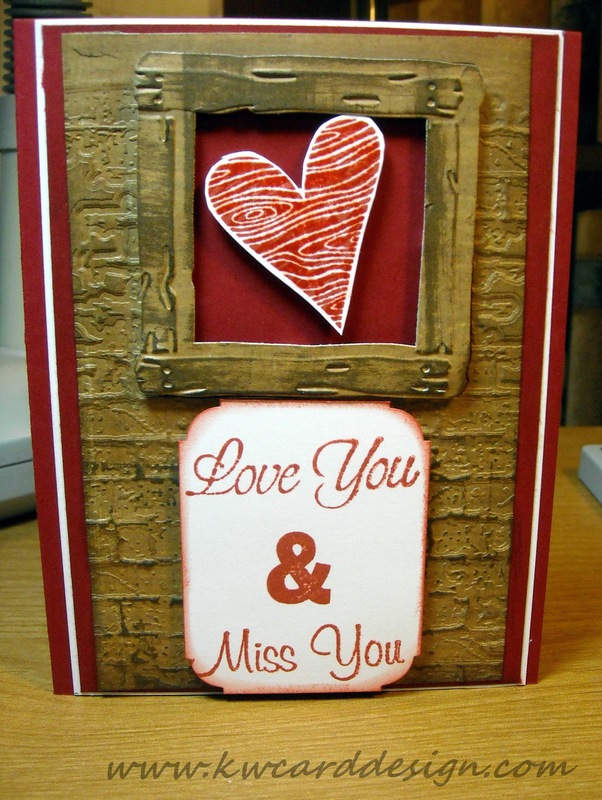 At our workshop, it is usually about making cards, or a some other cute crafty item, but we were taught to make a scrapbook page more approachable to achieve! I do not dislike scrapbooking at all, but just feel it is overwhelming at times.. I feel that there are numerous ideas out there that so many people come up with, and sometimes it is overwhelming to fill up a 12 X 12 page, or what ever size you choose, and make it presentable on a page with your pictures. Having that said, we were introduced to a more simple way of approaching it. Angie is awesome, and she has given me the confidence to try and maybe get into scrapbooking more. I love my cards, and cardmaking, because it was the first thing I was introduced to just a year and a half ago, but as a crafter, I want to expand what I can do. So - Angie helped us with planting the seeds, and now all there is to do is grow! So - here is my first scrapbook page!! First, the pictures are of my oldest nephew Justin and I back early 2000's. He is 11 now, and I no longer have the long hair! I chose these particular pictures because the colors matched the page so much. That is another thing with scrapbooking. I feel I have to match the colors in the picture, and sometimes that is added pressure ( for me anyway). When Justin was very little, he came up with calling me "Kiki", and needless to say Aunt Kari loves it! It has stuck, and some of my other family even calls me Kiki, which is fine with me! Here is another pic of the page. I messed up slightly on the journaling part, because it is my first page, and it is just for me anyway! I am proud of this page, and maybe in the future I will see what I come up with in other pages. Hi all! I know I haven't posted in a few days- but I will not be posting tomorrow either as I will do a day of silence for Japan. If you are a blogger - won't you join me?? 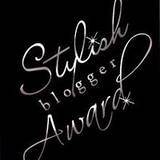 I'm very happy and honored that Angela over at Krafting with Kings, has awarded me with the Stylish Blogger Award. Thank you so much Angela for noticing my blog, and for giving me this award! 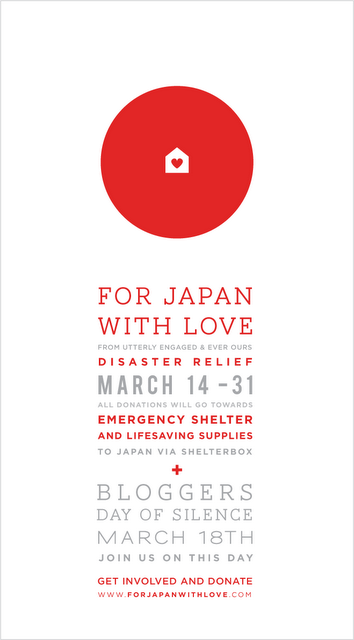 Please check out her blog! 3. Give the award to 8 bloggers that you have recently discovered. THANK YOU AGAIN Angela!! 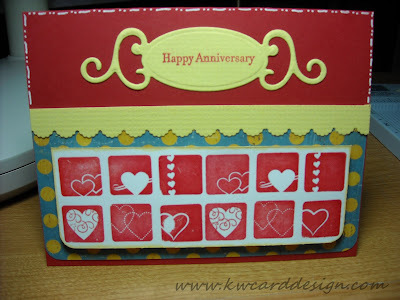 Be sure you stop by Angela's blog and check out all her awesome projects. 1. I was born in Arkansas, but now live in Missouri. 2. I'm married to my best friend, and wonderful man, Chris. 3. I went to Europe in 1995 with the Arkansas Ambassadors of Music. 4. I am addicted to pens, butterflies, dark chocolate. 5. I have only been a card maker for a little over a year and a half. 6. I love to make cards, and just be crafty, and make people smile. 7. I have two nephews - one 11 yrs old. and the other 5 yrs. old. 8. I have two adorable cats that are my children- Katie and Daisy. Here are 8 blogs that I have recently found with very talented crafters, so please take a minute to visit these ladies. I am passing this award on to you, congratulations! Hi everyone! I decided on a whim today to update the look of my blog. Nothing was wrong the way it was, but I felt it needed some "happy" feeling to it. With spring around the corner, I wanted to do some "spring cleaning" on my blog as well. When I first started my blog back in Nov 2010, I went through so many changes- and I messed with it so much, I didn't know if I would ever find "my look" that I wanted. Well- my caricature is my "symbol" of KWCardDesign, and that is what I like to build my look around. Nothing has changed, but the look. What do you all think?? Change is good every once in a while! Good Evening!! I'm sorry I haven't posted anything in a while- but time had other plans for me! I'm back tonight though wanting to simply say thank you to each of you for making my blog a success so far. Without all of you coming back to my blog and reading my posts- I wouldn't have all the exposure that I have so far. I appreciate my followers, friends, and all the comments and feedback I have received! It means a lot! I love to hear from you! I would like to share with you a thank you card that I made especially for a co-worker that helps keep things in line for me on the financial end of my job. She does a great job and I made this for her. What do you all think?? I was also inspired by my craft friend Darlene DeVries. She used in one of her videos the Flourish Stamp by Hero Arts. I didn't have this stamp and she actually did some enabling on my part. Check out her card here. Thanks Darlene for your inspiration! Well I plan on doing more videos soon. My hubby and I got rid of the Creative Vado HD pocket cam I had. For what I wanted to do- it just wasn't for me. It was a good little camera, just not for my needs. He found another one for me by Sony. I am not sure what model it is, but I do know it is not a pocket cam. I have a good husband. He is supportive in my hobby, and knows I love it so much! Well- that is all from me tonight! Thanks again so much for all of your support of me and my blog! You all are the best! Good Evening to you all. I wanted to just stop in tonight and share a card with all of you, and then settle in for the night. It has been a rough day for me today- mostly mentally. My brain is tired, and frustrated with some of the things going on at work, but this is where I like to unwind from all of that. Tonight I'm sharing a simple birthday card that I made for the lady that does my nails. It was her birthday yesterday on the 1st. It was bright and cheery, and I wanted to use some Distress Inks using the emboss resist technique. 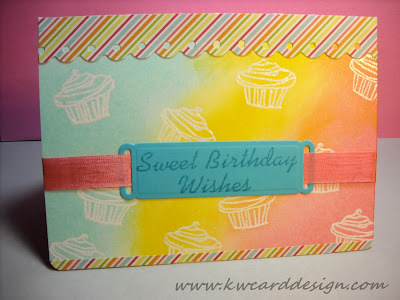 I stamped the cupcake image all over the white card stock, and embossed it, and then I blended three bright colors of Distress Inks and that is where the magic happens, and the cute little cupcakes show through when resisting the colors of the ink. It was a happy birthday for her!! I took her card to her on my lunch break, and she displayed it so all of her clients could see it!! Well- I said it was going to be short and sweet. I will be back soon with another card share with all of you!! Thanks to those of you that follow me regularly! It means a lot to me!